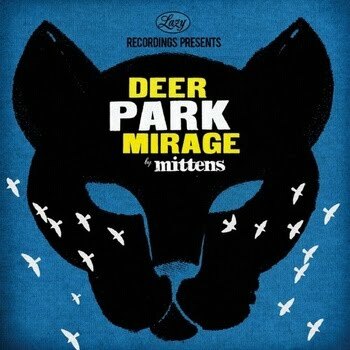 The Spanish indiepop band Mittens release their debut album 'Deer Park Mirage' today. Those of you who followed my earlier Wild Honey recommendation will definitely want to have a listen as Guillermo from Wild Honey is one of the members of Mittens. Guillermo writes songs for Mittens too and the music is a little similar to the Wild Honey sound but with a more solid pop backbone. The inclusion of female vocals and a twangy electric guitar sound combine to provide a pleasing twee and rather 60's pop feel with a hint of country music thrown in for good measure.